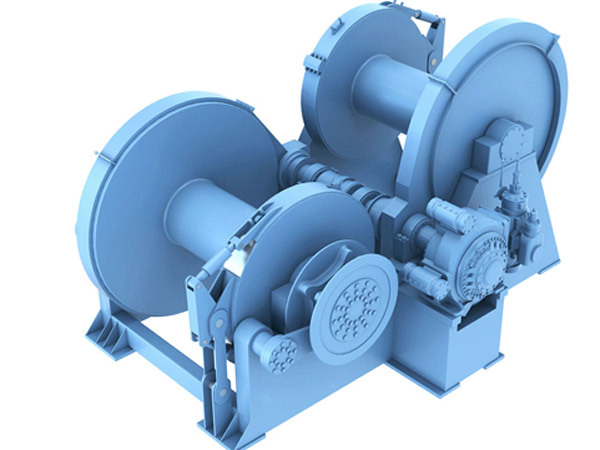 Anchor handling winch is specially designed for anchor handling towing operations installed on vessel deck, and it can be driven by electric motor, hydraulic pump pack or diesel engine unit. 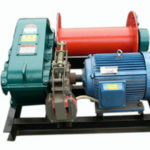 To release undesired tension, the winch is fitted with emergency release mechanism. The anchor handling winch and the winch rope is designed depending on the bollard pull needs. The breaking strength of the windlass rope should be twice to two and a half times of bollard pull force. The braking holding of the winch should be 1.5 times of the bollard pull or 80% of the rope breaking force. The anchor handling towing winch can be driven by hydraulic pump station or electric power unit or diesel driven system. 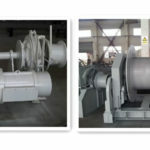 It generally has two or more drums and they can be placed side by side or in waterfall arrangement; there are a variety of winch systems and configurations and they share common features on modern ships. The anchor handling drum or drums share a common driven system with the towing drum, and the dimension and rated capacity of the former are almost the same as these of the latter. 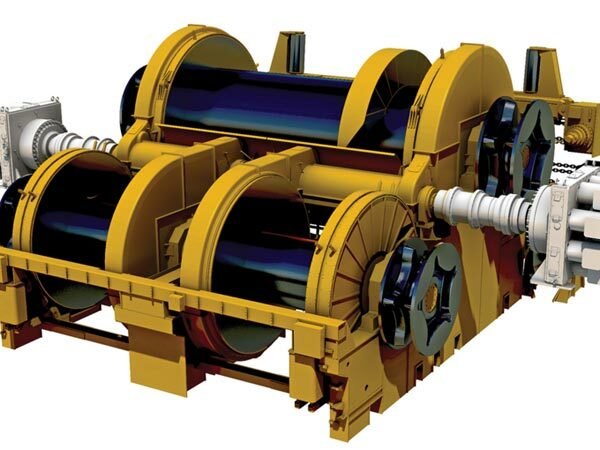 The anchor handling winch drum usually has a faster pulling speed or multiple gear range to allow the high hauling force at low gearing. 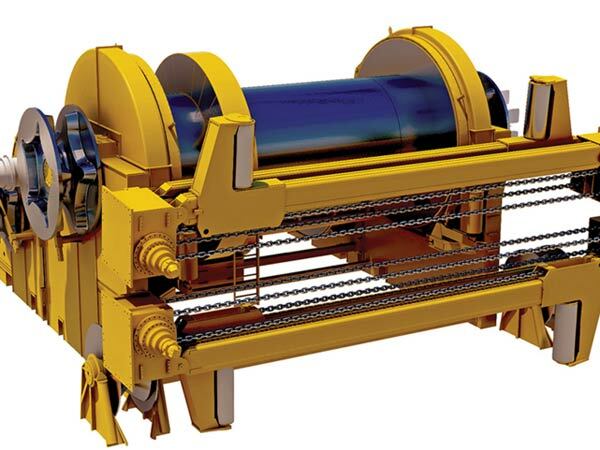 Many vessels tend to equip with high or low pressure hydraulic winch systems and some favor electric or diesel driven winch systems. 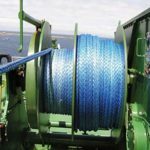 The spooling gear is not often outfitted because it restrains some aspects of anchoring handling operations especially during fast pay-out and recovery work. Chain wheel is usually fitted for the winch chain. 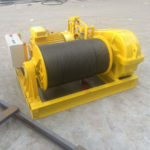 The anchor handling winch with hydraulic controlled anchor setting generally has the advantages as follows: it is easy to work, it is a clean and closed system, it has no wear of braking linings, it operates during blackout and it has high speed. 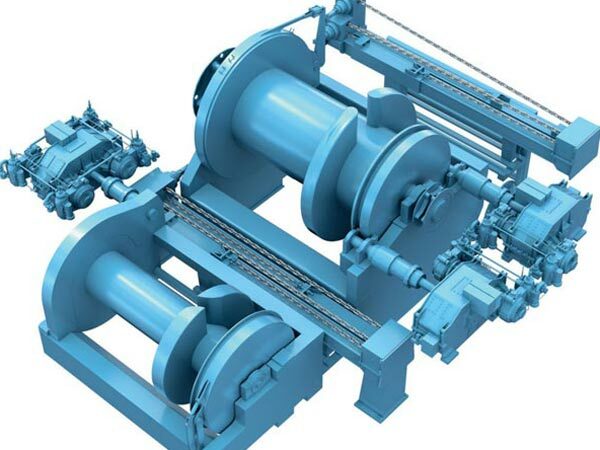 Periodic inspection is needed to guarantee that the winch machine can be used for longer time and operate safely and reliably without failure. Ellsen provides high quality anchor handling winches with very reasonable price and excellent after-sale service to ensure the safe use of the marine winch. 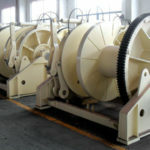 Contact us for more information about anchor handling winch price.